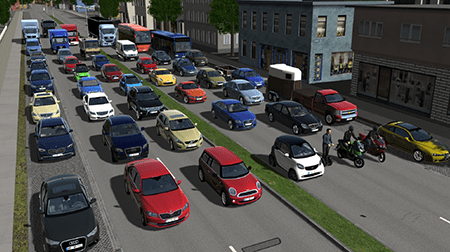 (BAD AIBLING, Germany, January 31, 2019) – VIRES, part of Hexagon AB, and a member of the MSC Software family, today announced that it has expanded its groundbreaking autonomous driving simulation capabilities with a number of enhancements to Virtual Test Drive (VTD), its open platform for the development and testing of advanced driver assistance and autonomous driving systems. Key highlights include a new Physically Based Rendering (PBR) technology for better photorealistic simulation visualization, new advanced visual sensor models, an expanded visual database to improve usability, and a new VTD API for easier connectivity with external vehicle dynamics and sensor models. Physically based rendering renders graphics in a photorealistic way that more accurately models the effects of light in the real world. Incorporating PBR technology into VTD greatly improves its graphics quality and makes the virtual models closer to reality. With advanced material texturing powered by Quixel Stuidio, users have access to a large library of materials created by scanned data, making their VTD models future-proof. A new VTD API in V2.2 makes it much easier for engineers to connect VTD with their external vehicle dynamics or sensor models. It provides a common interface and reduces the need for users to write their own codes to incorporate external components into the VTD environment. As a result, it improves the user experience for various applications and enhances the simulation’s physical accuracy. This release also contains additional performance and visualization enhancements to major VTD components such as ImageGenerator, ModuleManager, and TaskControl. For example, additional improvements have been made to post-processing to increase efficiency and applicability. Through these new features and improvements, VIRES and MSC Software now offer a complete workflow for virtual development, testing and visualization of Advanced Driver Assisted Systems (ADAS) and Autonomous Driving (AD) systems. 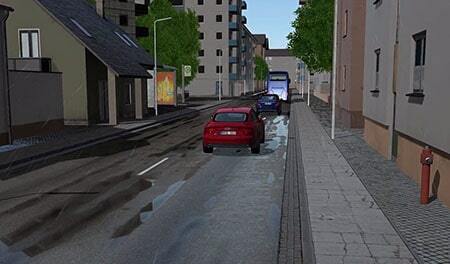 "This is an exciting release of VTD that is packed full of new capabilities and technologies for our users and the fast growing autonomous vehicle industry," said Marius Dupuis, Managing Director of VIRES Simulationstechnologie GmbH. "It pushes the boundaries of what's possible in ADAS and AD simulation."